Please note that above price is subjected to change and is for reference purpose only. Kindly contact Hyundai Nepal to get the latest showroom price. 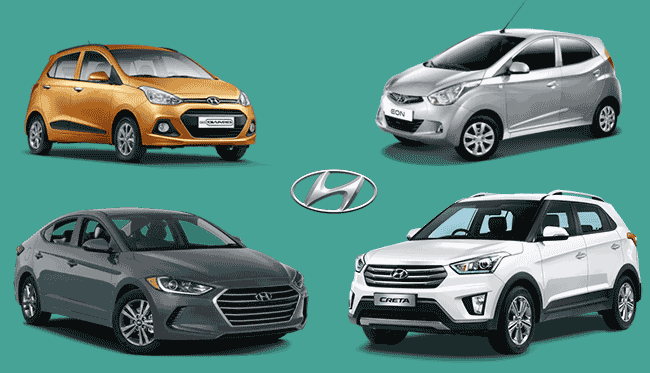 Note: Hyundai car price list was last updated on March 09, 2019. Hyundai cars & SUVs in Nepal are distributed by Laxmi Intercontinental Private Limited, which is its authorized sole dealer. Laxmi Intercontinental started since February 2009 by importing various models of Hyundai Cars. It is one of the key player in passenger car market segment. It is known for reliability, fuel efficiency and good resale value. It’s after sales service is also quite good. Company has been providing state-of-art service to its customers along with certified technical staffs. They even train their staffs at regional level training academy in South Asia apart from Hyundai Training Academy located at Lalitpur. This includes training on sales and marketing, after sales service, customer relation, etc. Overall, Hyundai in Nepal is customer driven and therefore look for overall satisfaction and retention of customer. Their focus in after-sales service suggests that. For this very reason, they have operated many showrooms and service centers across the country. The follow the new principle of 3S Center which focuses on Sales, Service and Spare parts to enhance Hyundai Motor’s network presence in different places. Understanding the needs of customers, Hyundai Genuine Spare parts are available at these showrooms along with exclusive customer lounge and resting facility for drivers. To capitalize on growing automobile industry in the country, Hyundai has opened 13 dealers in majors cities of Nepal which includes Banepa, Bhairahawa, Biratnanagar, Birtamod, Butwal, Damak, Dang, Dhangadhi, Hetauda, Itahari, Narayanghat and Nepalgunj. Currently, Hyundai has All New Santro, Grand i10, Xcent, Elite i20, i20 Active, Verna in typical car segment excluding SUV. It is selling Creta, Kona and Tucson in SUV segment. Also it now selling electric cars (EV) such as Ioniq and Kona. Creta, on its launch in Nepal, got quite popular and therefore made a good sale. Hyundai car starts at price of Rs. 18.96 lakhs in Nepal and goes upto Rs. 1.11 crore. For more details you can contact Hyundai Nepal at information given below. Or you can message us your queries regarding Hyundai car price in Nepal or its specifications at our Facebook page.